More than 29 days in the spring of 2018, NASA's Mars Exploration Rover Opportunity documented this 360-degree panorama from multiple images taken in what would become her last home in Perseverance Valley. Located on the inner side of the western edge of the Endeavor Crater, Perseverance Valley is a system of shallow depressions that descend eastward from the length of two football fields from the crest of the edge of the Endeavor to the floor. "This final panorama embodies what made Our rover Opportunity is an extraordinary mission of exploration and discovery", said Opportunity project manager John Callas of NASA's Jet Propulsion Laboratory in Pasadena, California. "To the right of the center you can see the edge of the Endeavor Crater that rises in the distance, just to the left of this, the rover's traces begin their descent from beyond the horizon and intertwine up to the geological features that our scientists wanted to examine E at the extreme right and left is the bottom of Perseverance Valley and the bottom of Endeavor crater, pristine and unexplored, awaiting visits from future explorers. " The pioneering mission ended after about 15 years of exploring the surface of Mars, but his legacy will survive. The scientific discoveries of the opportunity have contributed to our unprecedented understanding of the geology and environment of the planet, laying the groundwork for future robotic and human missions on the Red Planet. Visit NASA to interact with the image. This image is a modified version of the last 360 degree panorama taken from the Pancam of the Opportunity rover from 13 May to 10 June 2018. The version of the scene is presented in approximate real colors. This image is a cropped version of the last 360 degree panorama taken by the Pancam of the Opportunity rover from 13 May to 10 June 2018. The panorama appears in 3D when viewed through the blue sunglasses with the red lens on the left. The panorama consists of 354 individual images provided by the panoramic camera of the rover (Pancam) of May 13 until June 10, or sol (Martian days ) from 5,084 to 5,111. This view combines images taken through three different Pancam filters. The filters admit light centered on wavelengths of 753 nanometers (near infrared), 535 nanometers (green) and 432 nanometers (purple). Some frames remain black and white, as the solar-powered rover had no time to record those positions using green and violet filters before a Mars dust storm lasted in June 2018. The gallery includes the latest Opportunity images obtained during his mission (black and white miniature images of Pancam that were used to determine how opaque the sky was on his last day ) and also the last piece of data transmitted by the rover (a "full screen" image noisy, incomplete of a darkened sky). 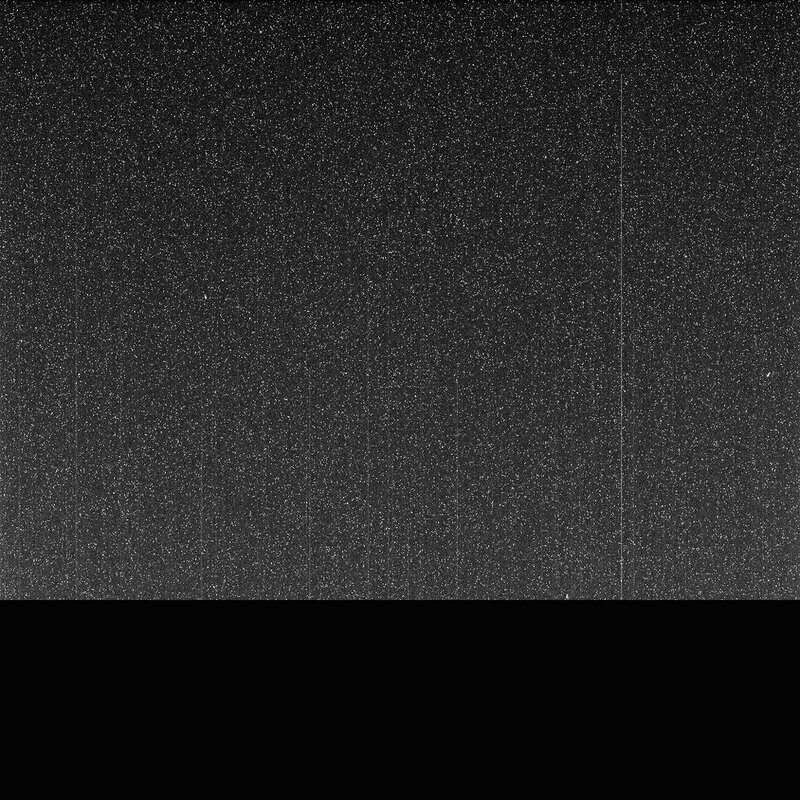 These two miniatures, with the spectral point of a weak Sun nearby in the center of each, are the # 3 9; latest images The NASA rover Opportunity has taken over Mars. Click here for full picture and caption. After eight months of effort and sending more than a thousand commands in an attempt to restore contact with the rover, NASA declared Opportunity's mission completed February 13, 2019. JPL, a division of the California Institute of Technology in Pasadena, managed the Mars Exploration Rover Project for NASA's Science Mission Directorate in Washington. For more information about Opportunity, visit: http://www.nasa.gov/rovers and https://mars.nasa.gov/mer/.